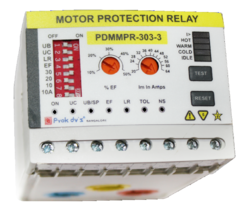 We are a leading Wholesale Trader of over current relay, reverse power relay, phase failure relay, ac voltage relay and motor protection relay from Chennai, India. 2 –Line, 16 Char back-lit LCD display. Microcontroller based, hence accurate and precise. 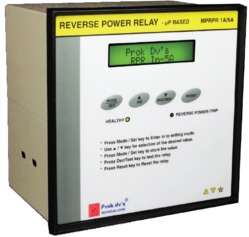 Visual indication of power, pick-up and relay tripping. Display of reverse power on the LCD. 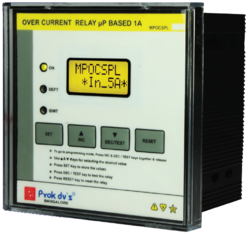 Continuous display of sensing voltage, current, frequency and power factor with the lead/lag indication. Wide Auxiliary voltage range from 85–275V AC/DC. Cost-effective and highly reliable compact design. Test Facility, allowing the user to check the NO and NC contacts of the relay. Fixed Tripping Time Delay 2.5 Sec +/- 0.5 Sec. Focusing on the quality of the products, we are engaged in manufacturing, supplying, exporting and trading AC Voltage Relay. 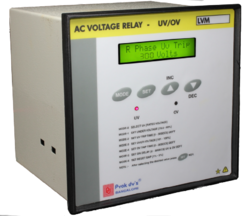 These are voltage monitoring and supervision relay for the polyphase system that are extensively used for monitoring both under voltage and over voltage conditions. 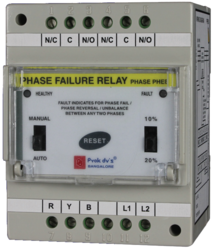 Looking for Protective Relays ?